There is bad feeling between what can be described as traditional antivirus (Trad AV) and next generation antivirus (Next-Gen Endpoint Security, or ES). It's not universal, but it does exist. In May, VirusTotal applied new rules to the use of its services in a move that many interpreted as aimed at, or at least primarily affecting, Next-Gen vendors. In June, Sophos (Trad-AV) lambasted Cylance over comparative testing methods. Comparative and competitive testing has emerged as the primary battlefield. It's a complex arena. Both technologies ultimately seek the same end: to protect systems from malware. Neither side is purely one nor the other: most Trad-AV companies have Next-Gen offerings or components; and many Next-Gen products include Trad-AV techniques. Nevertheless, most people will understand the difference. Trad-AV includes, but is not limited to, companies such as ESET, F-Secure, Kaspersky Lab, Panda, and Sophos. Next-Gen Endpoint Security includes, but is not limited to, Cylance, Fidelis, FireEye, Palo Alto Networks and SentinelOne. SecurityWeek approached all of these companies for their view on this 'bad feeling'. For the sake of clarity we must stress that Next-Gen ES can usually claim to be more than just anti-malware; and that Trad AV today is far more than just a signature blacklist. The prize is the anti-malware market. It's almost impossible to say which side has what percentage of this market because of the overlapping technologies. Nevertheless, EMA Research suggests that the total market is worth $9 billion per annum, and that Next-Gen currently accounts for around $1.25 billion. Trad-AV holds the ground; and for Next-Gen ES to truly succeed, it needs to dislodge its traditional competitors. There have been several recent claims that it is trying to do so with unfair comparative testing methods. So this is our discussion: Are Next-Gen ES firms using unfair tactics; is Trad-AV wrongly calling 'foul'; and is it even possible to compare the two? Although customers could use both defenses side-by-side to defend corporate networks, there are few companies that will be able to justify the cost of both. Choice is, largely speaking, necessary. Sophos prompted this discussion by calling out Cylance for unfair comparison practices. Dan Schiappa, a senior VP who wrote the Sophos blog, told SecurityWeek, "There are several reputable independent test labs who are very capable of benchmarking the effectiveness of all AV and endpoint security products, such as AV Comparatives, AV-TEST, MRG Effitas, NSS Labs, SE Labs to name a few. There’s even a collective effort called AMTSO that strives to advance the cause of high quality testing by these independent labs." Trad-AV is rallying around AMTSO. AMTSO has done sterling work in developing standards that can eliminate unexpected bias from independent testing. Indeed, VirusTotal has made certified testing in accordance with AMTSO standards part of the requirements for using its full services. The majority of Trad-AV companies would like to see comparative testing performed by independent testers conforming to AMTSO standards. Kaspersky Lab’s Michael Canavan is unequivocal: “Third-party testing plays a vitally important role for customers by providing an unbiased evaluation of the different types of available endpoint security. These independent organizations are able to test all types of solution capabilities while ensuring those products are configured properly to certify that the assessment is accurate, and it is the only method that will provide an impartial evaluation, proving which products are the most effective and reliable for protecting customers.” Not everyone agrees, as we shall see later. There are problems with AMTSO. Its members are almost entirely Trad-AV companies and independent testing bodies. It has no Next-Gen members. Perhaps this is a failing by the Next-Gen group; but the reality is that numbers would be stacked against them and they would have little ultimate sway over AMTSO policies. "All testing is biased," suggests Carl Gottlieb, CTO of Cognition and a reseller of Cylance Next-Gen products. "Supposedly independent testing bodies are biased by their own experience, designing test methodologies that suit the majority of their tested products that represent their main source of funding." He clearly believes that it would be difficult to get unbiased tests via the preferred Trad-AV route; that is, AMTSO. The Trad companies do not accept this. They point out that they have their own Next-Gen products and that AMTSO has developed methodologies to test these. There is a bigger concern voiced by the Trad companies – that Next-Gen abuses the facilities of VirusTotal (VT) in order to denigrate Trad AV capabilities. VT is a service, owned by Google, that allows anyone to submit a suspect file to be tested against the scanning engines of some 50+ Trad AV vendors. VT does not, was never intended to, and cannot test the Trad AV product itself. New malware will always get a poor return from VT since it only uses the signature part of the whole product – but it does not mean that the product in situ will not detect the malware. 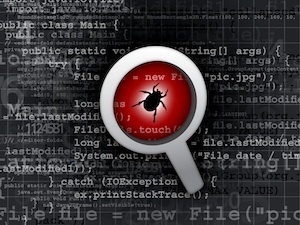 When SecurityWeek approached a number of Next-Gen ES vendors over the testing issue, only two, Cylance and SentinelOne, responded. Palo Alto, FireEye and Fidelis all replied with variations on ‘no comment’. Note that Next-Gen differentiates itself from Trad AV by describing itself as ‘advanced threat detection and prevention’ (that is, detection of malware including zero-day malware). Trad AV describes itself as ‘anti-malware, including zero-day malware’. Cylance does not mention VirusTotal by name, but it is almost certain that VT is one of the ‘multi-engine AV testing services’ it used. This is, in itself, misleading. David Harley suggests this is one of the primary problems with Next-Gen marketing: “By misusing VirusTotal (and/or similar services) as if they were ‘multi-engine AV testing services’ which VirusTotal certainly isn’t.” VT and similar are file checking services; they are not product testing services. SecurityWeek asked a trusted Trad AV researcher to comment on Skipper’s claims – which he did, but requested anonymity. “We detected this hash by 1 May 2016; that is, more than a month before the date of the Cylance blog. We suspect other companies did the same.” The point is not that Cylance is intentionally misleading; but that it is unsafe and actually misleading to base arguments on VT assumptions. Implying that VirusTotal results accurately measure Trad AV capabilities also helps to foster another frequent claim from the Next-Gen vendors: Trad AV is solely signature-based detection. When SecurityWeek asked SentinelOne (Next-Gen ES) how the user should choose between the two, Scott Gainey, Senior VP & CMO replied, “For decades antivirus software has relied on a signature-based model that compares a static list of previously identified threats, contained within a centralized database to local observations made on an endpoint as new inbound files come in…"
The problem for the user, however, is that both sides can and do claim to do just this to one degree or another. None of it answers the basic question: how is the user to choose between Trad AV and Next-Gen ES (assuming that it is not realistic to have both)? SecurityWeek approached a number of current and recent CISOs to see how they solve this problem. The bad news for both Trad AV and Next-Gen ES vendors is that their customers pay little attention to what they say about their own products. Some argue that the two technologies simply cannot be compared. Brian Kelly, chief information security leader at Quinnipiac University, says they are “two very different technologies. I see them like seat belts and airbags... you don't compare which technology saves more lives, but rather I agree that they both contribute to a safer automobile.” If the budget runs to both, then the solution may be to use both and get security in depth. Most organizations, however, will need to choose. Dan Bowden, CISO at University of Utah Health Care and University of Utah, takes a similar view. He asks four primary questions: “Which tool helps us move forward most decisively? Which addresses our most serious gaps in threat prevention, detection, incident response, and forensics? And which tool helps us take more initiative in finding threats? Steve Lentz, chief security officer for Samsung Research, explained his own decision process. “The bottom line,” he said, “is that testing is our responsibility, not vendors. “We are currently evaluating several vendors for endpoint AV, DLP and APT,” he continued.” I created a Must-Wants matrix that I learned from my Six Sigma training. The matrix is based on our environment and what we are looking for in a solution. We have a number of Musts that are required to move forward. We then have Wants which we then grade by priority. One CISO, who asked to remain anonymous, said, “We expect AV to only capture some of the bad stuff; we look to our other tools to catch the rest.” That’s why he has a SIEM and Next-Gen firewalls, spam/email gateway and cloud-based proxies and other threat detection tools. Only then, he added, do we feel “we've caught as much as we can. But in the final analysis it is clear that leading practitioners in major organizations take little notice of the vendor claims – they want to see how different products work for them and their own conditions in their own environments. To some extent this discussion was prompted by the accusations of Sophos (Trad AV) against Cylance (Next-Gen ES). We also asked the CISOs what they thought about this. In general, they consider it typical of the arguments that always arise when a new technology appears. They don’t take much notice. But that still doesn’t say which is best.